We challenge SeaWorld to debate these issues with our teams in a public forum, which we will be happy to arrange. Throughout the production and theatrical release of "Blackfish," SeaWorld has refused to directly engage with the film or its points in any public way, despite repeated invitations. Instead of releasing more PR spin, written statements and online critiques (which often allow no comments), we encourage SeaWorld's leaders to step forward and address these issues openly and honestly in public debate. Let the public hear both sides of the argument (as we have always desired) and draw their own conclusions. 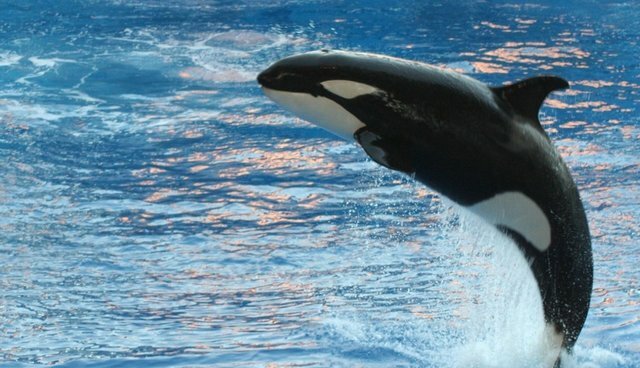 SeaWorld finally responded on Friday, rejecting the invitation. Fred Jacobs, vice president for corporate communications at SeaWorld, told the San Antonio Express-News that the challenge is "little more than a publicity stunt." "We have no interest in helping promote a film this dishonest and manipulative," Jacobs said. The news comes in the wake of several publicized ad campaigns launched by the amusement park that target "Blackfish." In December, SeaWorld took out a series of full-page ads in newspapers across the country, countering several allegations made in the film. SeaWorld is afraid that the truth about captivity is spreading, especially since the release of the film "Blackfish." The open letter advertisement placed by SeaWorld is in response to "Blackfish," but steers clear of the title for fear of bringing the film further attention.